Strategically placed athletic mesh on the inside of our masks allows your breath to easily pass through the mask, keeping your mask dry and your goggles fog-free. The front of our masks are water and wind-resistant to shield out cold air and moisture. Most masks are concave in one direction only, our masks are concave in two directions. This dual-concavity creates a spherical shape that fits your face better. Our adjustment system is an industry first. 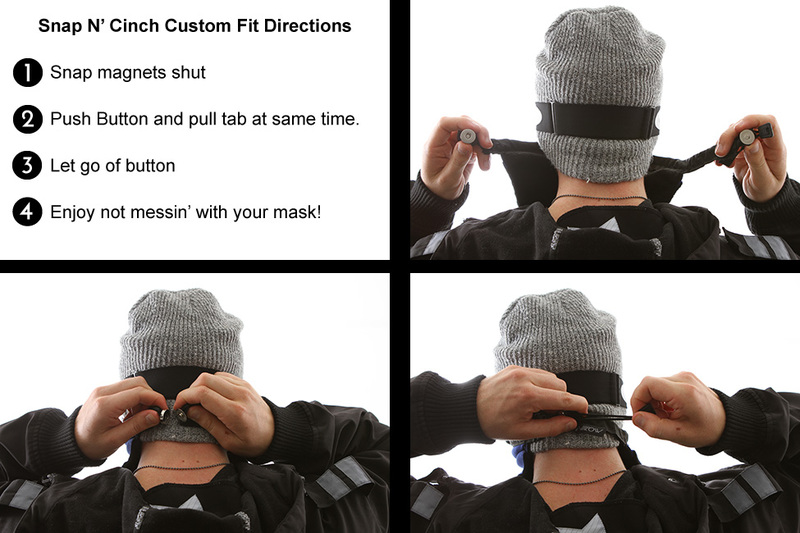 Simply snap the mask shut, cinch the mask tight, and stretch the mask on and off all day without losing your snug custom fit. 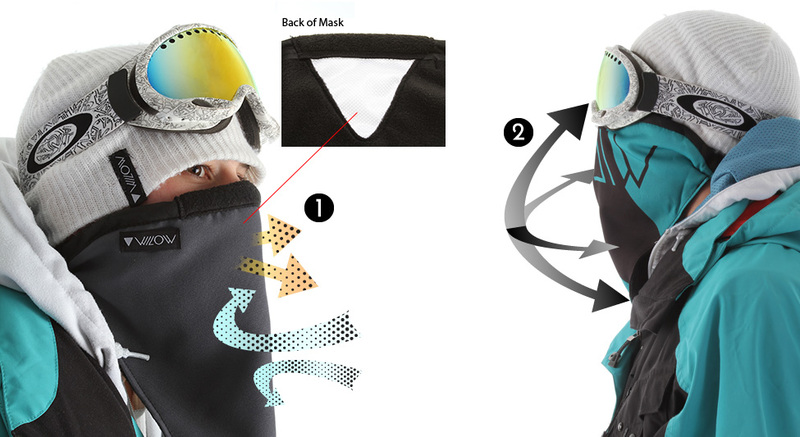 Our masks use commercial-grade magnets to snap shut, stay tight, and never get clogged with snow. 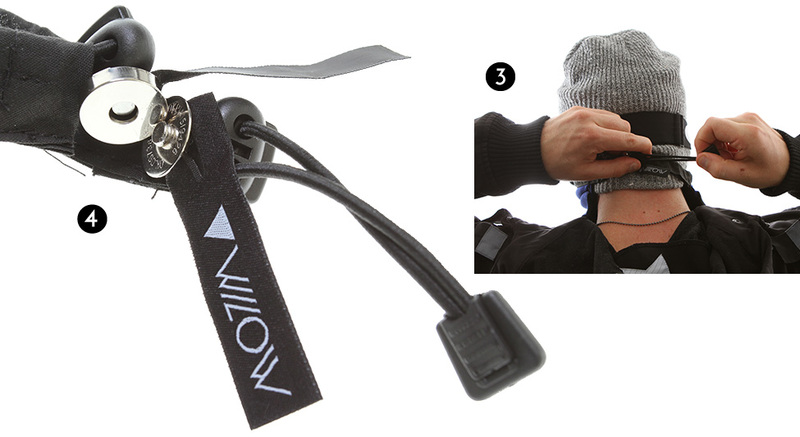 Branded woven labels double as pull-tabs to easily pop apart the magents.